California has the chance to power itself with 100% clean energy, and this bill could pave the way. While America’s leaders in D.C. drag their feet on climate action, it’s California suffering the consequences. Wildfire season in California is now seemingly endless — with climate-fueled extreme heat and pest infestations turning once-lush forests into kindling. It’s cutting Californian lives tragically short, and costing the state billions. It’s time to act. California has the chance to power itself with 100% clean energy — and a bill called AB 813 could pave the way, if the legislature strengthens and passes it. But the state legislature’s session ends in just a matter of weeks. Time is running out. We need you to take action today, before it's too late. I am writing in strong support of AB 813's goal of creating a regional energy grid so that California can share zero-carbon energy sources with our neighboring states. As the wildfires raging across our state prove, we can't wait for Washington to act on climate, and this creates a roadmap to achieve SB 100's plan for our state to reach 100% clean energy. I would like you to strongly support the passage of this legislation, after ensuring some crucial changes are made to strengthen it: *	It's important to not sign a blank check to a regional body to manage our energy grid. While AB 813 already allows utilities to exit the regional grid system if necessary, extra language should be added to the bill to clarify California can require them to do so if necessary. *	Also, an amendment needs to be added to include a greater role for the legislature in the review of the new Regional Transmission Organization's policy before it is made final and goes live. Leaving in up to the Energy Commission is problematic, given their limited authority and lack of political accountability. *	And finally, the "buckets" amendments should be deleted from the bill and organized labor's concerns addressed by considering the many initiatives currently being considered by the legislature which would grow strong union jobs in California in combination with AB 813, instead of considering these efforts in a vacuum. With these changes, AB 813 provides a pathway to a renewable energy future just when California needs it most. 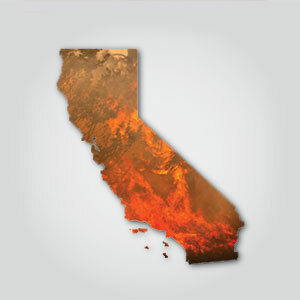 We cannot afford to continue to sacrifice billions of dollars and Californian lives to the climate crisis-fueled, supercharged wildfires that our ravaging our state. Please strengthen and pass this legislation before the end of the legislative session this summer.